Rare and distinctive horizontal stripes! Horizontal yellow bands become ever more distinct through summer on upright plants 5-7' tall and 3' wide. Silvery plumes arise late summer and last all winter. Easy and showy, despite heat, drought, poor soil. Deer tend to avoid. 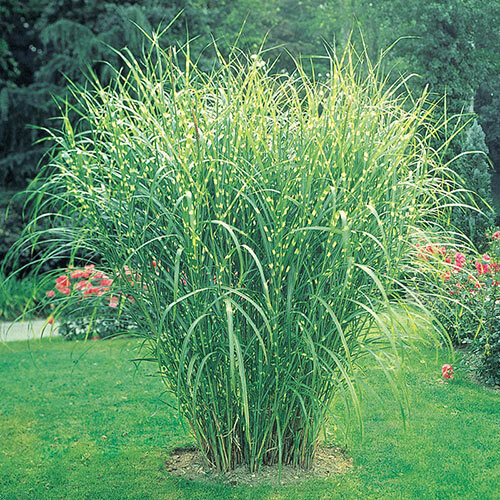 Miscanthus sinensis 'Zebrinus'. Soil RequirementWell-drained, but will tolerate a wide range of soil types. 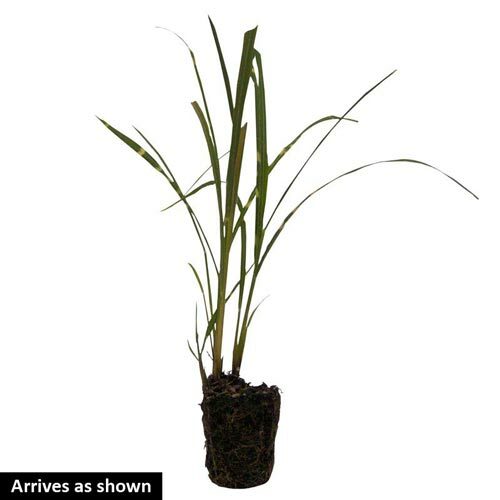 Unique CharactersticsExotic-looking grass with distinct yellow and green banded grass blades. Excellent as an accent planting or in a dramatic grouping. Tolerates some shade, but will perform best in full sun.